The Signature Bridge, which is being publicized as a tourist spot, in the coming days, will have a glass viewing deck and dedicated selfie spots. Many people put their lives in danger to get an enviable shot at Delhi's Signature Bridge. There's a lot of excitement among the people of Delhi to visit the newly-opened Signature Bridge, meant to ease traffic congestion between north and northeast Delhi. 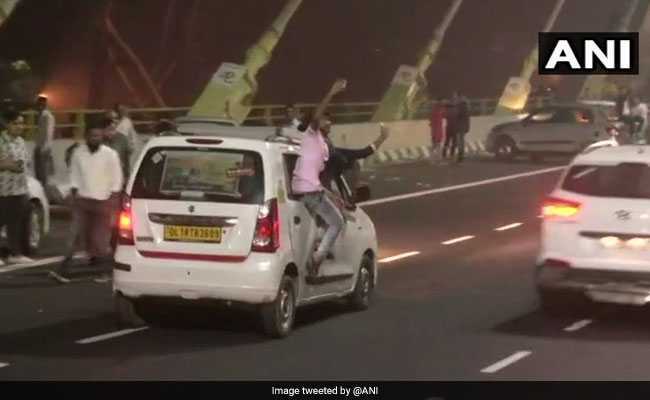 The eagerness, however, turned risky on Friday night, when people got out of their vehicles and stood on the suspension cables to get their pictures clicked. Some could be also seen hanging out from their moving cars to click selfies. People stopped their vehicles at Delhi Signature Bridge to click pictures. People got out of their moving cars to lick selfies at Delhi's Signature Bridge. 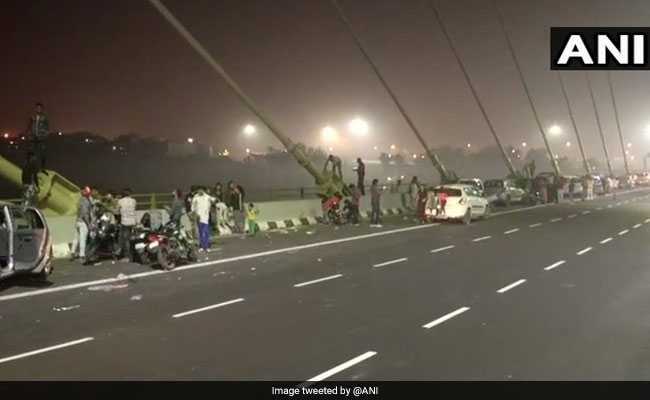 The Signature Bridge, which is being publicized as a tourist spot, in the coming days, will have a glass viewing deck and dedicated selfie spots, but instead of waiting for that, the enthusiastic bunch of people put their lives in danger to get an enviable shot. The Signature Bridge that took 14 years to build, was thrown open to public on November 5. It is the first asymmetrical cable-stayed bridge in India. The bridge will have a 154-metre-high glass box which will act like an observation deck for the visitors, giving them a bird's-eye view of the city. The visitors will be taken to the viewing deck in four elevators, which will be able to carry around 50 people at a time. The elevators area is likely to be operational by February. The bridge was first approved in 1997 after school bus fell off the narrow Wazirabad bridge into the Yamuna, killing 22 children. Work, however, only got underway in 2008 and costs too escalated due to delays. It was initially expected to cost Rs 1,131 crore and was to be completed before the Commonwealth Games held in Delhi in October 2010. In 2015, the cost of the project rose to Rs 1,594 crore. The deadline was again pushed to June 2016, then to July 2017 and December last year.